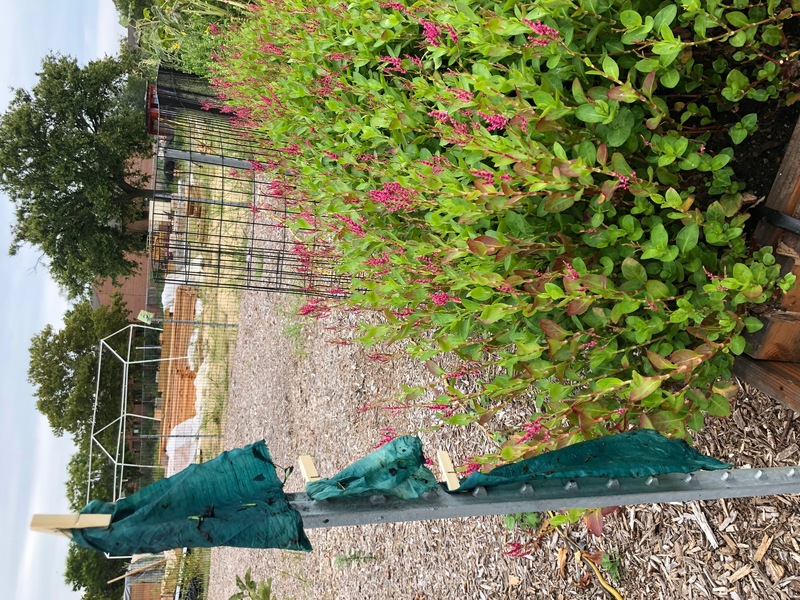 In exchange for space, soil, compost, beds, and overall farm support, kindness, generosity and good cheer, I led a free, public indigo-dyeing workshop on Governors Island on September 8th, 2018. Lots of friends, some of whom helped grow and transplant the indigo, former students and families with children participated. 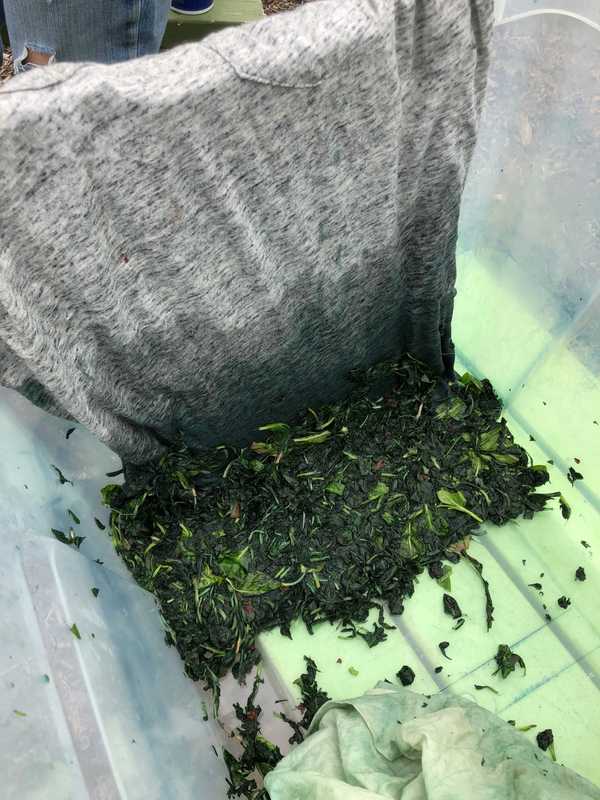 While I prepared a hot bath with freshly harvested leaves, an activity that took almost 4 hours, students cut indigo, removed leaves from stems, and rubbed salt into the leaves. 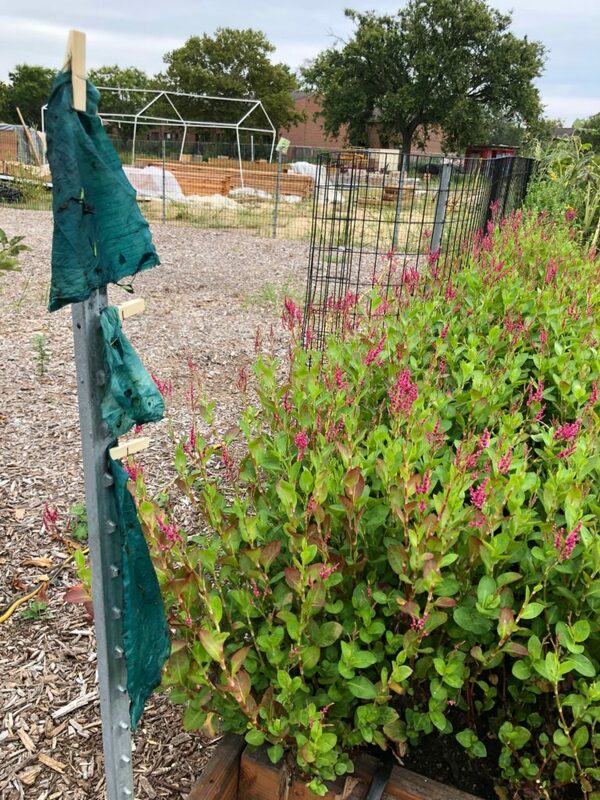 Using silk I had pre-scoured (boiled gently in soda ash to remove any chemical finishers), students massaged the salt and leaves onto the silk, then hung them to dry, letting oxidation turn the color slightly bluer. This method produces a blue-green rather than pure blue. It is fast and safe. Massaging the leaves can take as little as 10 minutes or longer, like 30 minutes, depending on the amount of leaves and the amount of pigment you’re hoping to extract. 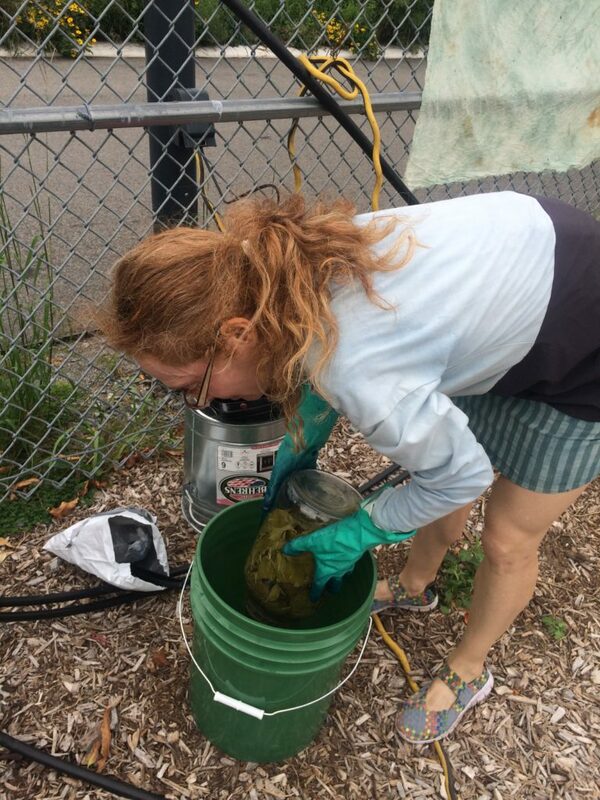 Tending the hot vat during the workshop…It was hard to end to the vat and students mashing leaves and salt at the same time! 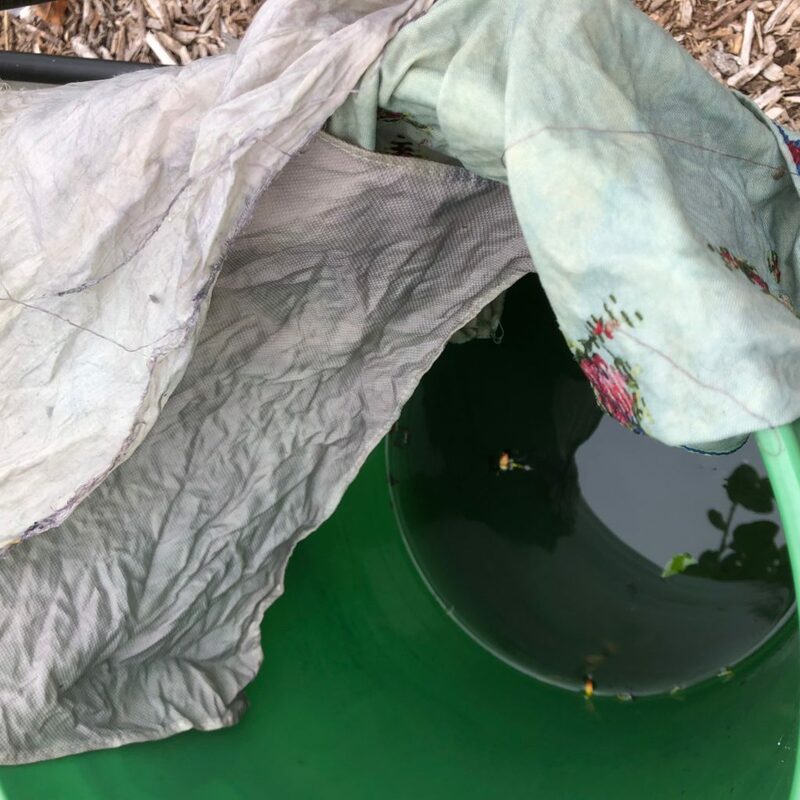 Fabrics from the hot vat, cotton and silk, were just starting to oxidize, but needed more time in the vat and an after rinse in water and vinegar. 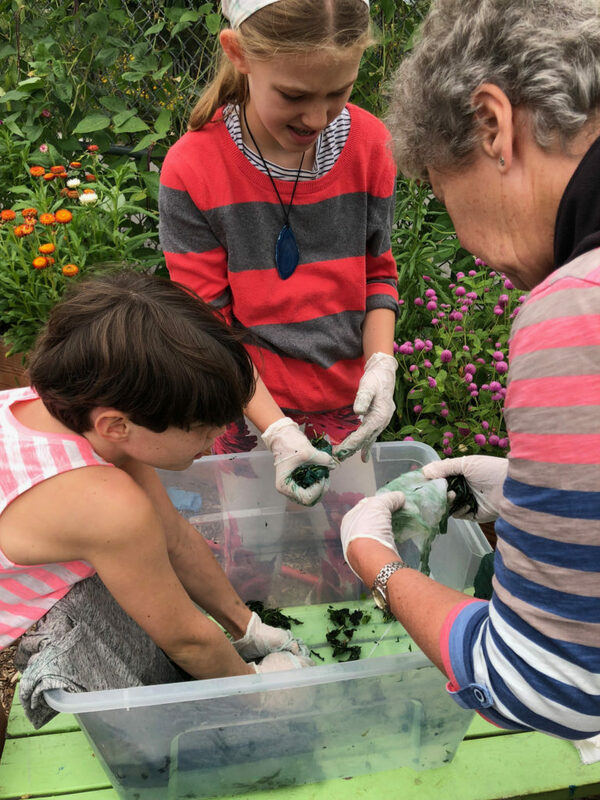 Multi-generational dyeing at GrowNYC Teaching Garden indigo workshop. 9/8/18. Rubbing fresh salt onto leaves onto silk and watching oxidation appear under small and adult hands. 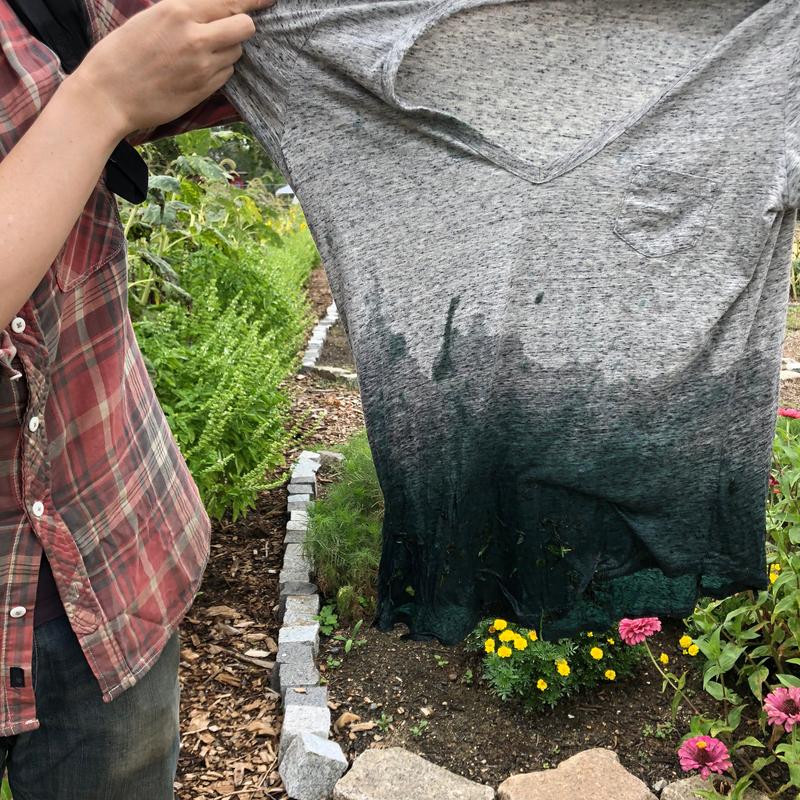 While I provided silk, cotton and linen fabrics for dyeing, workshop participants brought some of their own clothing to dye. Here, one woman encased her t-shirt in fresh leaves rubbed with salt. The very beginning of oxidation from green to teal to blue. Harvesting more leaves for dyeing while dyed fabrics oxidized. 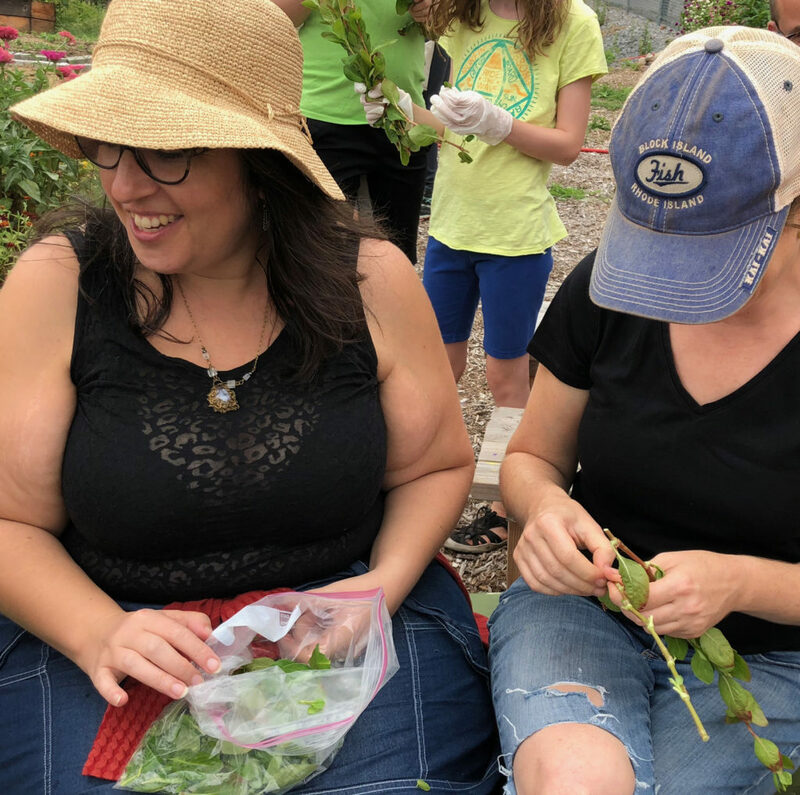 9/8/18 free, intergenerational indigo workshop at GrowNYC’s Teaching Garden, Governors Island, NY. Swatches massaged in salt and fresh leaves drying near the plants that dyed them! 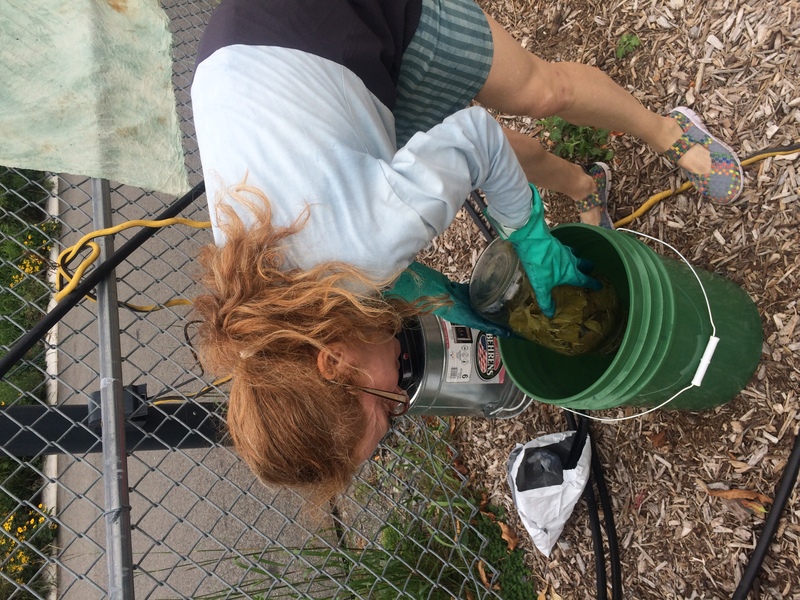 Saturday, 9/8 Governors Island Teaching Garden indigo workshop…my first ever public workshop. 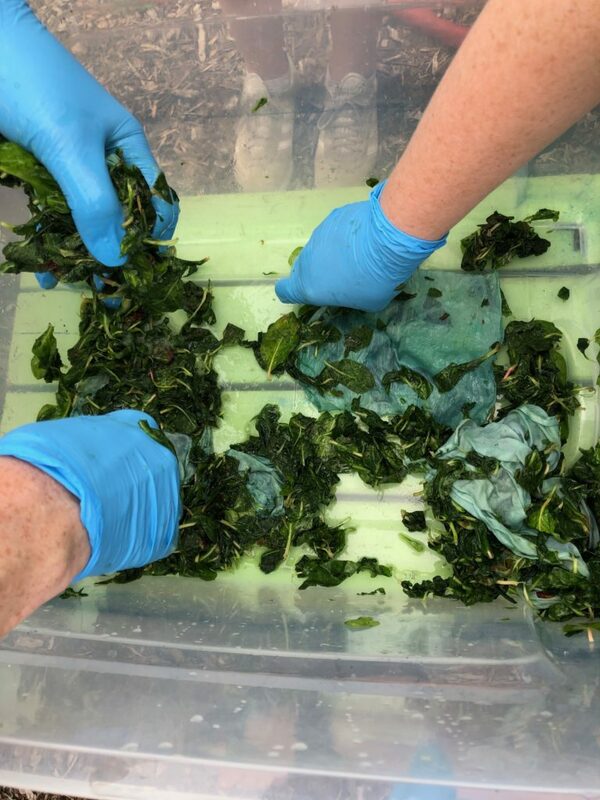 Students wore gloves to mash salt onto leaves and leaves onto silk swatches.